Rappel is a rope activity that consists basically on going down a vertical wall with the help of a rope and other equipment. This is a great activity to develop self confidence and self esteem, surpassing any fear that might exist. 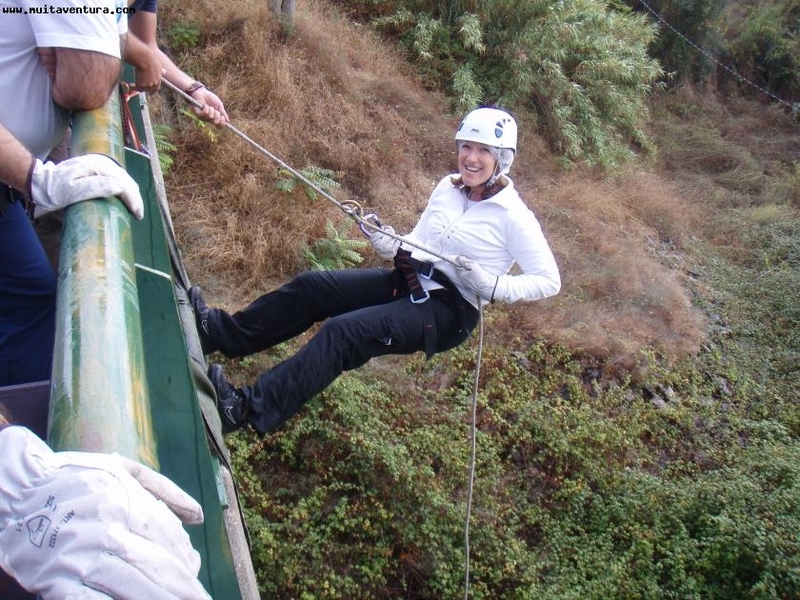 This is a safe activity that can be done in several ways: suspended, in a natural or artificial wall and, for the braver and more experienced, the Australian rappel. Muitaventura can provide this activity in several places: Sintra, Góis, Tancos, Constância, Sever do Vouga, Espiunca, etc.